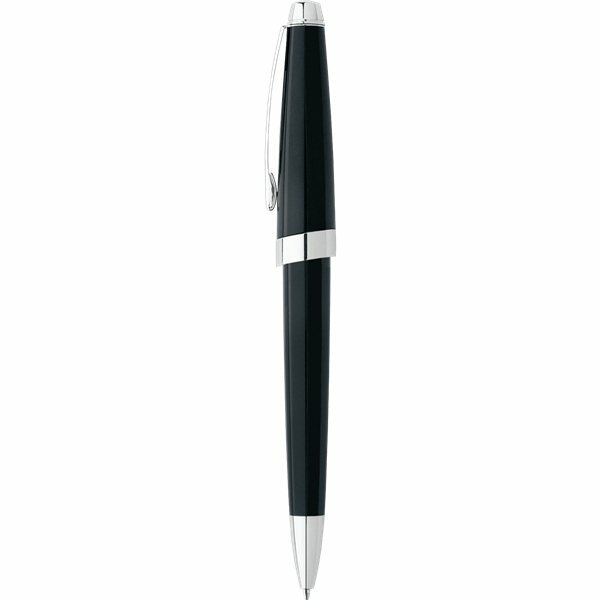 A refined profile combined with a striking onyx black resin finish for timeless appeal. The superior black Cross® ballpoint ink cartridge, premium gift packaging and lifetime mechanical guarantee complete your writing experience. Our client was very happy it! My order was delivered to me exactly as purchased with quick turnaround time. Everyone showed interest in my needs and was so friendly and easy to work with. Clever design at a good price. Absolutely love this product! We enjoyed our doing business with AnyPromo. The product was wonderful. The quality and imprint are just wonderful. They worked well for the needs and cheap enough to give away for that promotion we were running. Very pleased all the way around! You guys exceeded my expectations with the prompt service and delivery. We are very pleased with its performance and the added benefit of the product was unique and eye-catching.